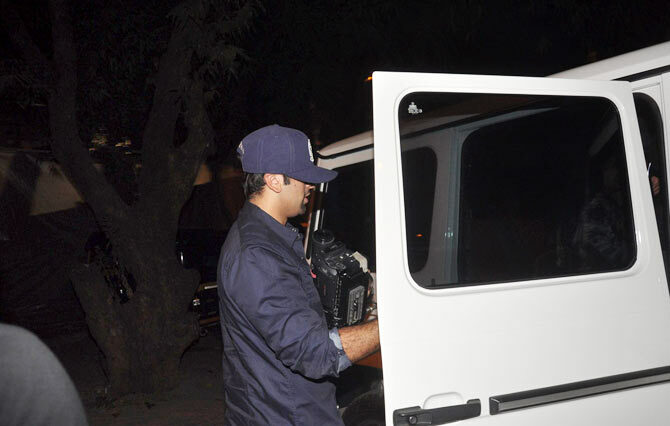 Ranbir Kapoor's high spirits came crashing down in the late hours of December 5, when he stepped out of Olive Bar & Kitchen in Bandra, a western Mumbai suburb, and found the media waiting. The actor, who seemed to have had a spirited evening with his director friend Ayan Mukerji at the restaurant, grabbed a TV camera from a media-person and got into his car. Click Next to see more pictures of an ANGRY Ranbir. Ranbir took the camera on the pretext that he wanted to see how it worked. But after he took it, he refused to return it. 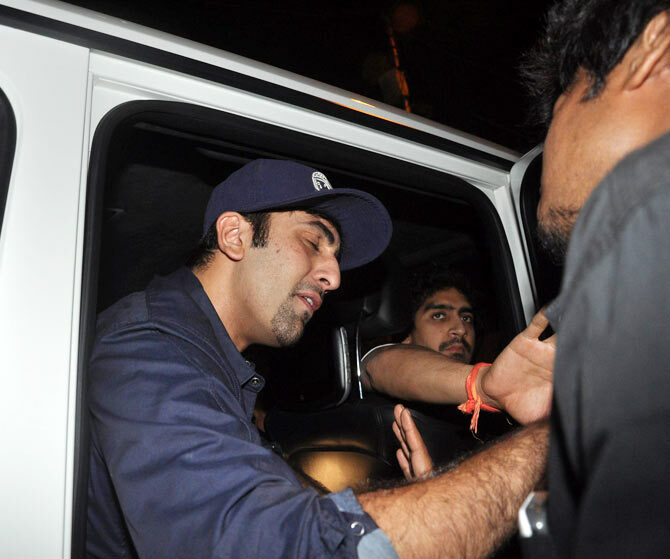 Ranbir and Ayan then started shouting and arguing with the media, say eye-witnesses. In the end, the two drove off with the TV camera, leaving the media-person in a fix. Has the camera since been returned, we wonder. Sonakshi, Kangna, Tabu: Bollywood's WORST dancer? VOTE!